If you have a dental problem, you owe it to yourself to get a qualified second opinion. Our staff at Amador Dental & Orthodontic are here to help you make the right choice for your smile. Our dental team is providing a FREE second opinion appointment to any patient who wants to discuss whether or not a certain type of treatment or procedure is right for them. At Amador Dental & Orthodontic, we offer comprehensive general dentistry services to keep your smile healthy, confident and bright. We also have an orthodontist and periodontist on staff! Our dentists emphasize the power of preventive care and effective oral hygiene habits to protect your smile for life. We recommend a checkup every six months to stay ahead of any potential problems. During your regular cleaning appointment, our team will thoroughly assess your teeth and gums for any signs of gum disease, oral cancer or tooth decay. If we see anything concerning, we will fully inform you and listen to all of your thoughts about treatment options. Dr. DeVinney, Dr. Karkhanechi and Dr. Rondon are proud to be your partners in protecting your oral health–and in promoting your overall health! Experiencing jaw pain, headaches or facial soreness? Ask Dr. DeVinney how you can protect your smile against excessive wear caused by jaw clenching and grinding. Our dentists view extraction is a last resort, but sometimes it is necessary to keep the rest of your mouth healthy. Badly infected teeth can jeopardize the health of their neighbors, including previously healthy teeth and gums. Fluoride application can help re-mineralize weak areas of tooth enamel, keeping them resilient against bacteria and decreasing the chance of tooth decay. Are your teeth sensitive? Do you experience pain when you eat or drink hot and cold foods? Ask Dr. DeVinney if desensitizing treatments could help restore your smile and allow you to enjoy your favorite foods without pain again! Professional teeth cleaning (also known as dental prophylaxis) is a cleaning procedure that thoroughly cleans the teeth. It is an important preventive measure to help stop the progression of gingivitis and periodontal disease. We recommend our orally healthy patients receive this type of procedure twice a year. Tobacco users aren’t the only ones who should be concerned about oral cancer. Oral cancer is on the rise. 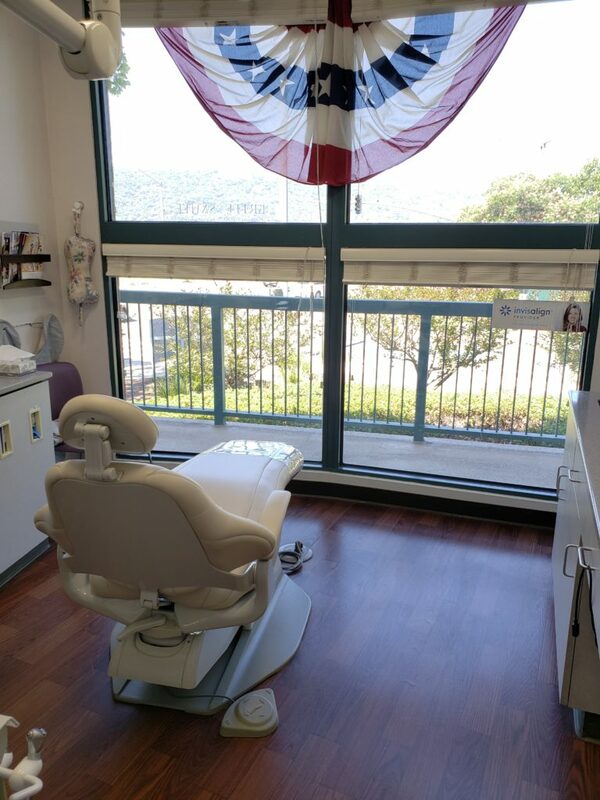 That’s why at Amador Dental & Orthodontic, we provide oral cancer screenings as part of a regular dental checkup to all of our patients over the age of 18. Chronic halitosis is a common problem with more than 50 million people suffering in the United States alone. Common halitosis remedies like mouthwashes and breath mints are often sufficient to mask the symptoms, but if you’re concerned about the root cause, schedule an appointment with Dr. DeVinney to discuss your treatment options. 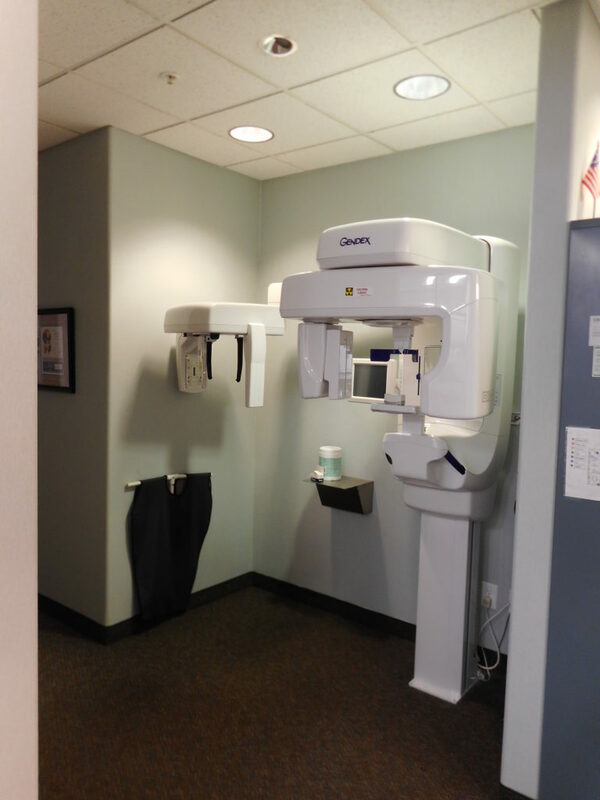 Our practice uses digital x-rays to produce enhanced computer images of our patient’s teeth, gums, and other oral structures and conditions. Digital x-rays are key to early detection and effective treatment of dental problems and expose patients to less radiation than traditional film x-rays..
3D CT imaging provides us with extremely accurate three-dimensional replicas of your oral anatomy, which prove especially useful when planning for dental implants, root canals, or wisdom teeth treatments. Are you or your family members overdue for a preventive dental exam and cleaning? Call Amador Dental & Orthodontic today to schedule your general dentistry appointment from our list of general dentistry services! Suffering from tooth pain? Call our Pleasanton dental office to see if any same-day emergency dentist appointments are available. Se habla Español.